Please complete the following form to upload your product image and other necessary information. All fields are required. URL of the webpage that the product image should link to (include http://). We recommend that the URL go directly to the product page itself, rather than your store's main page. 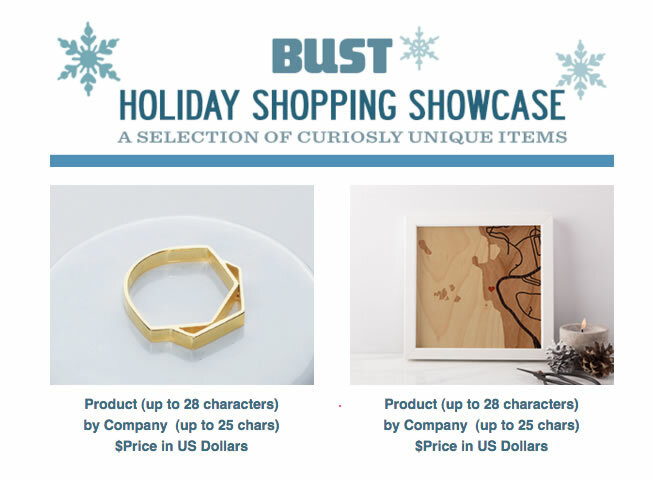 Upload your Product Image for the email blast. 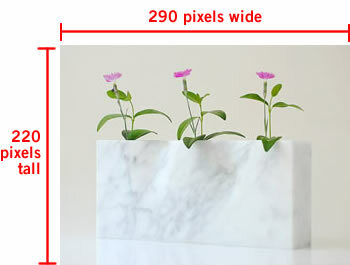 Image MUST be a jpg or gif and exactly 290 pixels wide x 220 pixels tall. See sample below. Please check the date(s) of the email blast(s) that this image is for. If you want to use a different image for each date, please submit additional forms. Please enter your email address so that we may contact you in case there is a problem with your ad. Please enter your phone number so that we may contact you in case there is a problem with your ad.